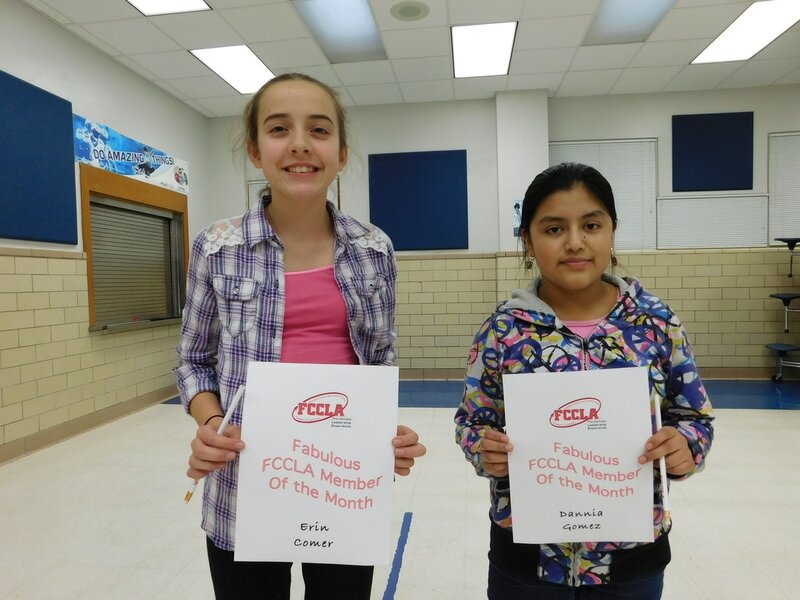 Every month our chapter officers choose 2 members from each grade to be our Fabulous FCCLA members of the month. 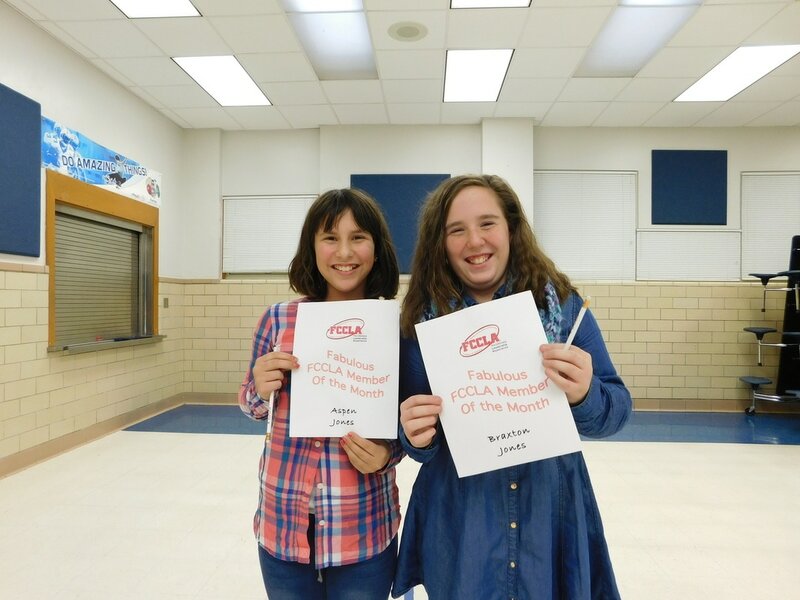 We announce these member every month at our monthly meetings. 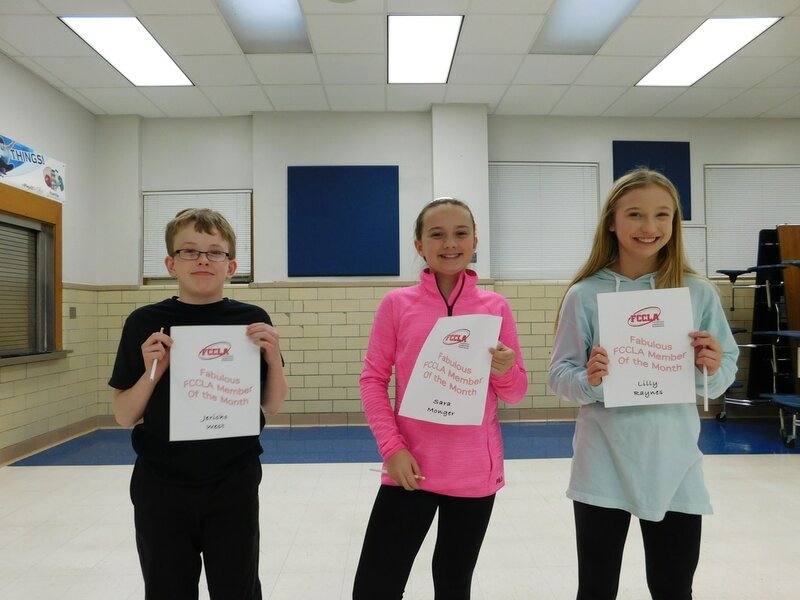 The members receive a certificate and small gift from Mrs. Stroop and the officers. Not Pictured: Rachel Conley, Peyton Downey, and Emily Czerwinski. Pictured: Braxten and Aspen Jones. Not Pictured: Kara Morris, Abby Thompson, Carly Myers, and Brittany Resendiz. Pictured: Erin Comer and Dannia Gomez. Not Pictured: Ashlyn Herring, Megan Holland, Riley Sharum, and Jackson Stanley.